Design Presentation is a leading provider of Autocad services. Design Presentation can provide you with the best AutoCAD Services at the most competitive prices. Send us your drawings or sketches and will create two or three-dimensional models according to your standards (AIA or any other standard). 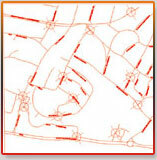 We can work on basic 2D AutoCAD drawings or complex 3D formats. From concepts to final development drawings, we can recreate them all. 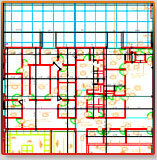 We can convert any original AutoCAD document to a perfectly accurate and multi-layer CAD drawing. Companies and clients are becoming more reliant on precise digital formatting of their blueprints or AutoCAD drawings.